The launch of Moto G6 series is nearing as the phones are launching in April. The Moto Z3 Play got the leak treatment yesterday as the phone showed up in some case renders. The design showed a fingerprint scanner placed on the side and an 18:9 display on the front. 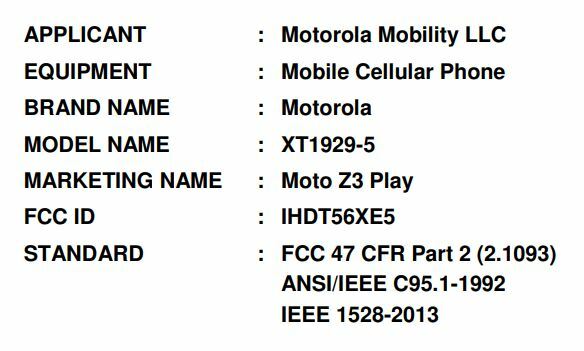 The phone (XT-1929) was recently spotted on FCC which revealed a few specifications of the device. 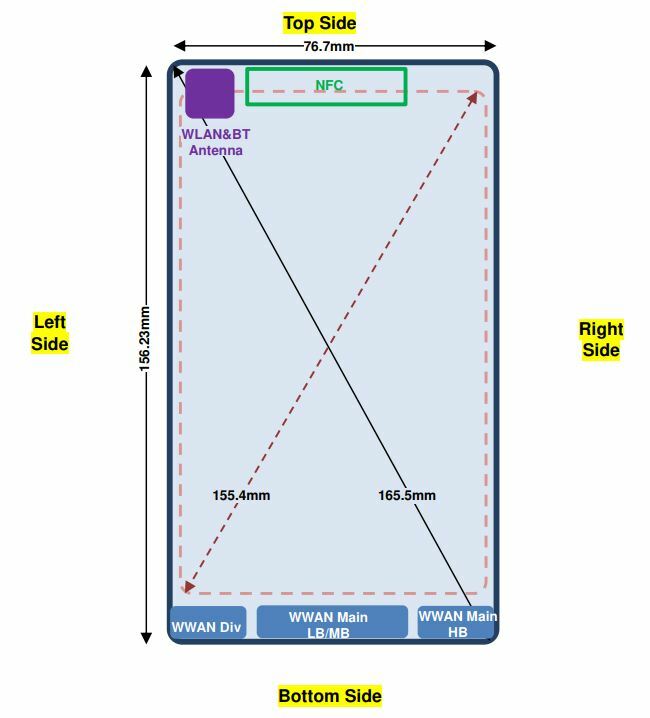 FCC listing also revealed the dimensions of the phone so, the Moto Z3 Play measures 156.23 x 76.7 mm. As for the specifications, the Z3 Play is coming with a 6.1-inch 18:9 display on the front. The Snapdragon 636 processor powers the device. It is the same processor that powers the Redmi Note 5 Pro which is priced much lower than the expected price of the Z3 Play. There is 4GB RAM and 32/64GB internal storage. Motorola is not done with Moto Mods yet as the Moto Z3 Play will support all the previous Moto Mods as well as the latest ones. This is because the dimensions are almost similar to the Moto Z2 Play which supports Moto Mods. There are single SIM as well as the dual-SIM variants of the Z3 Play. The variants with model numbers XT1929-1 and XT1929-4 will have single SIM support while the variant with model number XT1929-5 is coming with dual SIM support. There are also variants that are coming with both dual SIM and single SIM support. They are coming with model numbers XT1929-6 and XT1929-8. Well, there is no information about other specifications yet. The price can be expected to be around $450-$500. As mentioned in the beginning, the Redmi Note 5 Pro packs the same processor but is priced much lower. Well, it looks like Motorola will have to price its phones aggressively this year as the Nokia 7 Plus is also launching soon with a much better Snapdragon 660.